Complementary approaches to health and wellbeing based on Traditional Chinese Medicine. Fascia bioenergetic therapy and holistic kinesiology can be used to improve your sense of wellbeing and overall health. Enjoy higher levels of personal energy and a healthier lifestyle through physical and emotional balance. Book an appointment today and take the first step on your own personal journey to health and wellbeing. 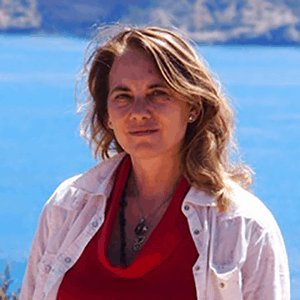 Susana James is a highly experienced holistic therapist trained in a number of interrelated disciplines. She combines a number of complementary approaches to any treatment including kinesiology, fascia bioenergy therapy and ear acupressure. Through gentle manipulation of the fascia you can recover physical and emotional balance. Fascia bioenergentic therapy is non-invasive and pain free and has a long lasting effect on the body’s core functions as the fascia is the connective tissue that protects organs, muscles and the nervous system. Kinesiology is a muscle testing approach to identify imbalance and displacement within a patient. Discover the healthier you! Through nutrition and food management you can overcome food intolerances, allergies and improve your overall health and wellbeing. Weight management and unhealthy eating patterns can be overcome with planning and support. I hate spam too! I will never share your details with anyone.